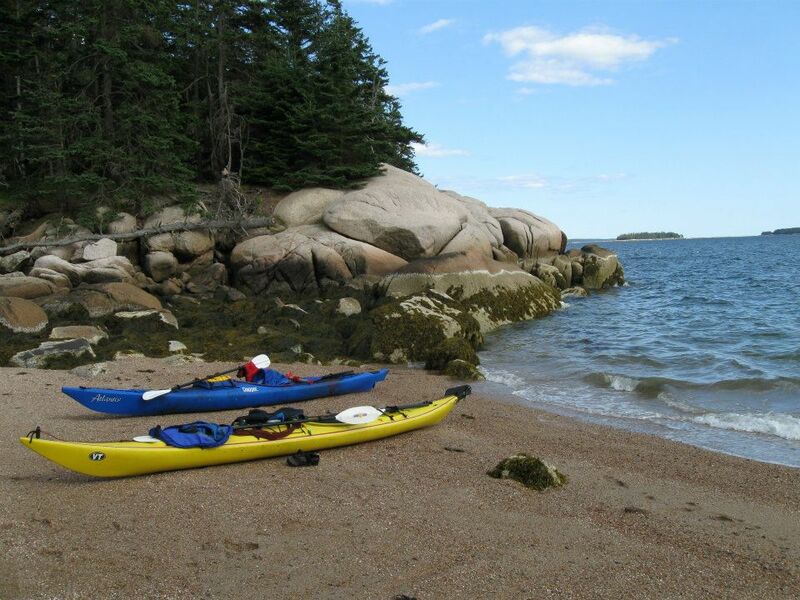 Home > Campgrounds > Downeast & Acadia > Old Quarry Ocean Adventure, INC. The 60 Islands of the Stonington Archipelago are renowned for their scenic beauty. Sailors and kayakers come from around the world to ply these waters. Thirty-five of these islands are open to the public for hiking, picnicking, and camping. Our ocean front campground is in an old growth spruce forest. We have seven walk-in tent sites and three drive in tent or small RV sites with water and electric. We offer daily lobster-boat eco-tours, boat trips to Isle au Haut for our hike and bike trip, and puffin and lighthouse tours. 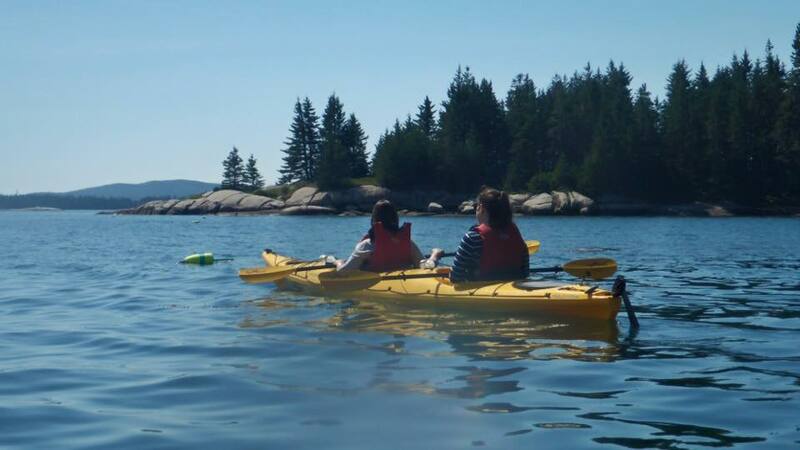 Other services include guided kayak trips, island camping trips, kayak and sailboat lessons, and a rental fleet of kayaks, canoes, sailboats, bikes, and moorings. Other services include kayak launch sites, lobster bakes, private boat charters, group functions, weddings and outfitting services. 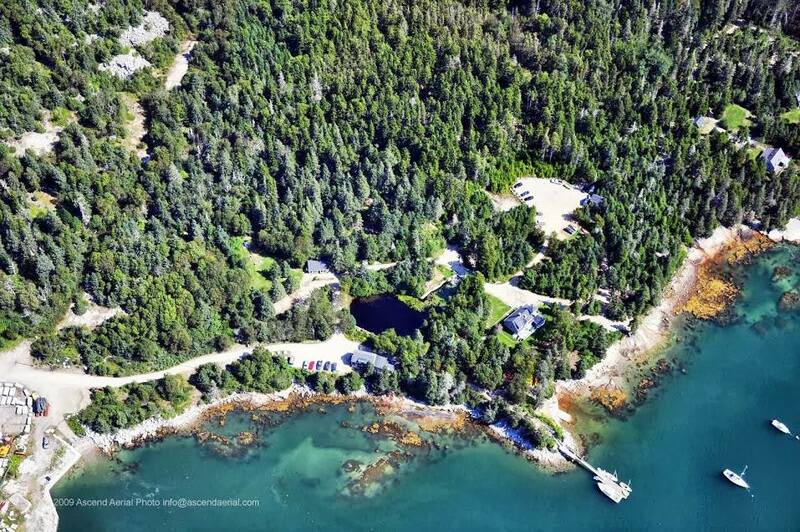 The campground has a full service bathhouse and laundry, as well as phone, WiFi, docking area, and waterfront decks. Please visit our website for more information and pictures. This reasonably priced, nicely furnished, heated accommodation is ideal for kayakers and others who would like a little more comfort than a tent site. Also perfect for the night before or after your overnight island camping trip. There are three independent bedrooms, which in total can sleep eight people comfortably. Each of the two upstairs bedrooms has two single beds. The downstairs bedroom has a double bed and bunk beds. All rooms have a table, chairs, chest of drawers, ceiling lights and lamps. Toilet, shower and dish washing facilities are in the campground bathhouse. There is an outside hose to wash with etc. The bunkhouse has no cooking facility; however, a gas grill is available upon request. Linens are available for your use or you may bring your own linens or sleeping bags. Pillows are provided. Open from April 1st until Columbus or shortly thereafter.